An optimist might argue Tibetan Buddhism has already defeated Maoist Communism, because it continues to rapidly gain converts around the world, while nobody believes in the CCP, not even the Politburo. His Holiness, the Dalai Lama is globally revered, whereas those who know of Premier Li Kequiang are generally not favorably disposed towards him. However, pessimists will counter nonviolence is doomed to fail against a government that ruthless massacred its own people at Tiananmen Square. Traditional Tibetan musician and activist Loten Namling is definitely a glass-is-half-empty sort of person, but he continues to do his part to advance the cause of Tibetan freedom through nonviolent means. However, the increasingly oppressive situation in occupied Tibet and the alarming reports of self-immolation protest-suicides escalates the urgency of his efforts in Dodo Hunziker’s documentary Tibetan Warrior (trailer here), which releases today on DVD and VOD. Namling is Tibetan, but he has never set foot in his country. He was raised in Dharamsala, but Switzerland has been his home for many years. 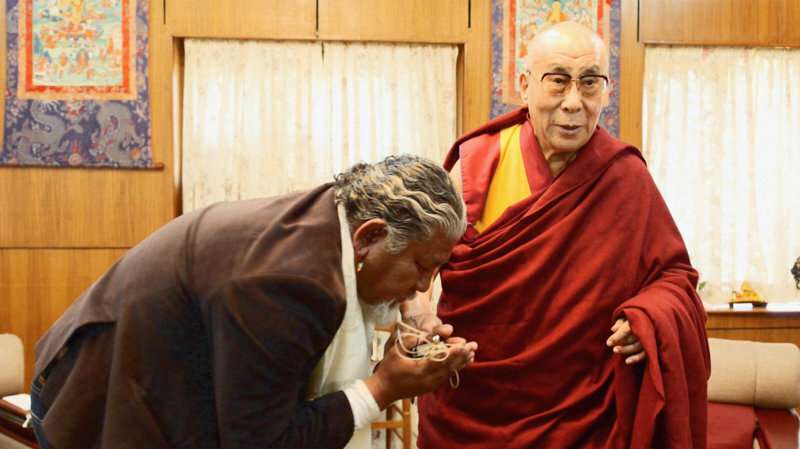 Namling has achieved some prominence popularizing Tibetan music, even performing for His Holiness. Not surprisingly, music will play a role in his latest campaign, but that will be the easy part. First he will make a pilgrimage from Bern to Geneva, on foot, dragging a coffin to raise awareness of Tibet’s plight. Once he has completed his journey, he will play in a consciousness-raising concert, co-organized by Franz Treichler of the New Gods. When Namling set off on his trek, thirty-some Tibetans had self-immolated. In a relatively short period of time, the number rises above one hundred thirty. Maddeningly, the only media outlet reporting on the phenomenon is the Chinese propaganda media, which blames the “Dalai Clique.” Ironically though, His Holiness advocates a non-confrontational policy of coexistence known as the Middle Way Approach. Namling is losing confidence in the Middle Way and his is deeply disappointed in the Swiss government’s proposed free trade agreement with Beijing. Nevertheless, he is only too aware of the Chinese government’s overwhelming military and economic power. This is a grim conundrum viewers will grapple with, along with the frustrated Namling. He might be an activist, but Namling is not an idiot. In fact, he is refreshingly down to earth. He never claims to have all the answers, but he is certainly eloquent explaining the problems. His concern for the long-term survival of Tibetan culture and the health of the country’s once pristine environment are entirely justifiable. One can immediately see why Hunziker focused in on Namling as his subject. He is a charismatic, interesting looking figure who really fills the screen. He is not a poseur chanting slogans. His life has been shaped by the occupation, fragmenting his family. It is a sobering and timely film that gives audiences a fuller perspective on the Tibetan exile experience. 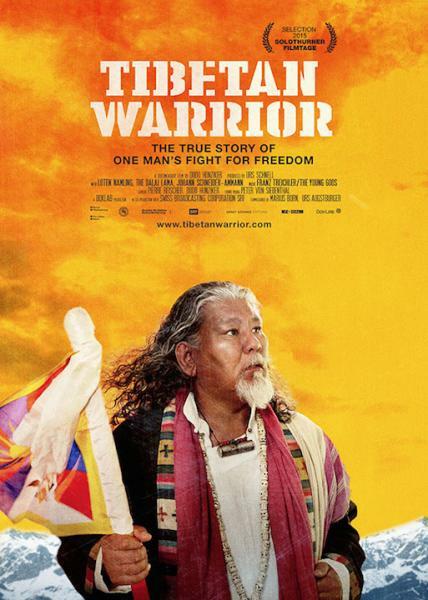 Respectfully recommended for everyone concerned about human rights in Tibetan and the predatory destruction of ethnic cultures, Tibetan Warrior is now available on DVD and VOD, from Garden Thieves Pictures.